Physical threats to journalists, increasingly authoritarian governments, threats from religious ideologies, tighter control of state-owned media and lack of security in war-torn countries are all contributing to the downward spiral. Latin America, whose ranking plunged 20.5%, is of particular concern. Journalists are attacked and murdered in Mexico and central America, while corruption in Brazil and media concentration in Argentina are also factors. Repressive governments, including U.S. allies in the Middle East and communist China, suspend access to the internet or even destroy media premises or equipment. Oligarchs are buying up media outlets to exert pressure along with their allies in government. Christophe Deloire, secretary general of RSF, spoke to Agence France Presse about the situation. The Middle East/North Africa region is still home to the worst repression against journalism, with China and North Korea joining those countries at the bottom of the index. Finland, the Netherlands and Norway top the list of countries with the most press freedom. It’s not only whistleblowers who are under the threat of state violence for their words. In June of last year, the DoD released its 1,180 page Law of War Manual which outlines provisions for military commanders to violate the rights of journalists who they disagree with in vaguely written legal speak. The manual allows for the stripping of due process, and reporters who are deemed “belligerent” could be carted off to Gitmo and never heard from again. The 2016 presidential election is also demonstrating the shortcomings of American press freedom. Candidates from both political parties have regularly restricted journalist access to campaign events, as they con voters into believing they will work for the people and not the Washington establishment. 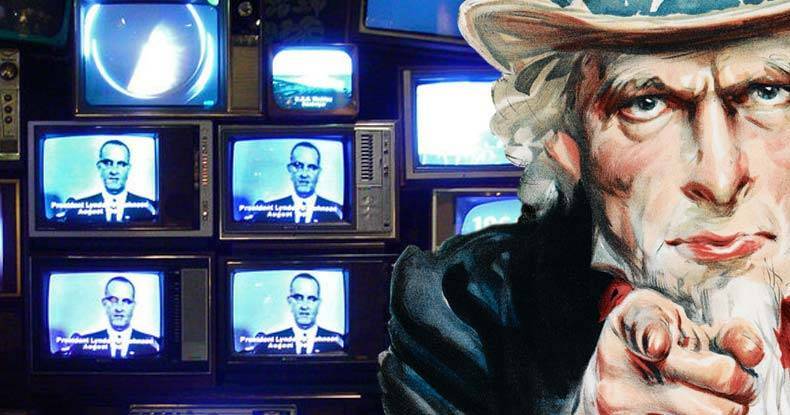 In addition to this authoritarian threat to journalism, the U.S. has a particular problem with television-based outlets that profess to be purveyors of news but are more accurately called infotainment. Fox News and CNN are examples of this farcical notion of “news” that misinforms so many Americans, distracting the populace from real issues and acting as Praetorian Guard for government. True journalism has always been heralded as a check on government power and abuse. In the age of instant information transfer, independent media represent a force like never before to counter authoritarianism. We must take seriously the RSF report and strengthen the fight to retain press freedom.